Martin has devoted his research career to realising the therapeutic potential of ion channels in both industrial and academic settings. 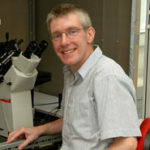 Subsequent to completing a BSc degree in Pharmacology at the University of Leeds, Martin received his PhD from the Department of Pharmaceutical Sciences at the University of Aston in Birmingham by studying ion channels in bone and muscle cells. 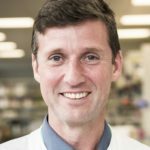 His ion channel research continued throughout his post-doctoral studies at Imperial College and in 1998 Martin was appointed as lecturer in Vascular Physiology at Imperial College School of Medicine. 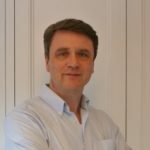 Martin joined Novartis in 2001 in the Respiratory Diseases Area based in Horsham UK, and established an industry leading ion channel discovery group focused upon programs for the treatment of respiratory, CNS, inflammatory and cardiovascular diseases. Martin and his associated teams made pivotal contributions to the identification of numerous clinical candidates, several of which are still progressing through clinical development. 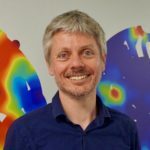 In 2014 Martin joined the University of Sussex, establishing a group developing respiratory therapeutics programs and collaborating with colleagues in CNS ion channel drug discovery. 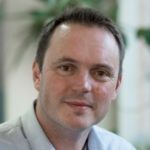 Martin is also a founder and Chief Scientific Officer of Enterprise Therapeutics, a Sussex-based respiratory biotech company. 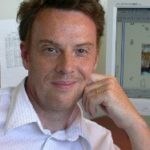 Stephen Tucker is a Professor of Biophysics in the Clarendon Laboratory at the University of Oxford, and also Director of the Wellcome Trust PhD programme in Ion Channels and Disease. After studying Biochemistry at Oxford he did his PhD at the Institute of Molecular Medicine at the John Radcliffe Hospital studying the CFTR chloride channel. After this, he went to the Vollum Institute, Oregon USA for two years as a Wellcome Trust International Prize Travelling, and in 1996 he returned to Oxford as a Wellcome Trust Career Development Fellow where he worked closely with Prof Dame Frances Ashcroft, FRS on the ATP-sensitive K+ channel and other inwardly-rectifying K+ channels. In 2000 he was awarded a Royal Society University Research Fellow in the Dept Physiology, and in 2008 he was appointed to a University Lecturership in the Dept Physics. In 2015 he was made a Professor of Biophysics in the Dept Physics and is currently a fellow of Green Templeton College, Oxford. The Tucker lab employs a wide range of structural, functional and computational approaches to study ion channels, and current work is focussed on the Two-Pore domain (K2P) family of potassium channels. Davids long-standing research interest is in ligand-gated ion channels (LGICs) – specialized pore-forming membrane proteins that are activated by neurotransmitters during ‘fast’ chemical synaptic transmission. In particular, Davids lab studies LGICs activated by L-glutamate – the major excitatory neurotransmitter in the mammalian brain. Although glutamate activates several different classes of LGIC one, in particular, the N-methyl-D-aspartate receptor (NMDAR) has been a major focus for our research. Through electrophysiological studies, my lab has contributed significantly to our understanding of the structure-function properties and physiological roles of the various subtypes of NMDARs. NMDARs play pivotal roles in both normal and abnormal brain function. In early life, for instance, they ensure that the correct wiring pattern is laid down in the developing brain. Furthermore, activation of NMDARs is required to learn certain tasks and store memories. However, both over- and under-activation of NMDARs can be deleterious for normal brain function. For example, during a stroke excessive activation of NMDARs contributes significantly to neuronal loss, while NMDAR dysfunction is thought to contribute to diseases such as Alzheimer’s, Parkinson’s and Schizophrenia. More recently it is now recognised that de novo mutations in the protein sequence of NMDARs can lead to intellectual disability. Directly related to our structure-function studies of NMDARs we use pre-clinical models of single gene causes of neurodevelopmental disorders (such as fragile X syndrome) to study the properties of altered synaptic function and to assess the extent to which pharmacological intervention can ameliorate the changes that are observed in such models. A more recent focus of our research is the electrophysiological and functional characterization of defined neuronal and glial populations derived from human embryonic stem cells and induced pluripotent stem cells and specifically those from individuals suffering from neurodevelopmental and neurodegenerative diseases. Our work seeks to assess the electrophysiological profile of such neurons in order to further our understanding of these debilitating diseases. Our overall aim is to develop an integrated approach to research that begins with the study of single protein molecules and synaptic function and extends, through collaboration with colleagues, to whole animal studies with an ultimate goal of the clinical study and treatment of disease. 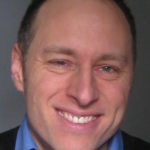 David is Professor of neurology and neurobiology at the University of Oxford and honorary consultant neurologist. His sub-specialty interest is peripheral neuropathy and neuropathic pain; he administers the neuropathy and pain channelopathy clinic at Oxford University Hospitals. He completed neurology training in London and moved to Nuffield Department of Clinical Neuroscience, Oxford in 2012. He is currently a senior Wellcome clinical scientist. His research interest is to understand the process of nerve injury and repair and prevent unwanted outcomes such as neuropathic pain. He takes a broad experimental approach to this problem ranging from understanding ion channel biology to clinical trials. 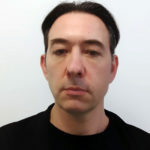 Stephen Brickley is a Reader in Neuroscience for the Department of Life Sciences and member of the Centre for Neurotechnology at Imperial College London. His laboratory specializes in functional & anatomical techniques to study connectivity between neurons during the ageing process. 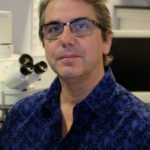 He is a Fellow of the Royal Society of Biology, external examiner for the Department of Neuroscience, Physiology and Pharmacology at UCL and Associate Editor for Frontiers in Molecular Neuroscience. Annette Dolphin received her BA in Natural Sciences (Biochemistry) from the University of Oxford and her PhD from University of London, Institute of Psychiatry. She then held postdoctoral fellowships at the College de France in Paris, and at Yale University, before returning to the UK to the National Institute for Medical Research, London; followed by a lectureship in the Pharmacology Department of St. George’s Hospital Medical School, London University. She was appointed Chair of the Department of Pharmacology at Royal Free Hospital School of Medicine, London University in 1990, and moved to University College London in 1997. She is a Professor of Pharmacology in the Department of Neuroscience, Physiology and Pharmacology at UCL. She was elected to the Academy of Medical Sciences in 1999, and the Royal Society in 2015. 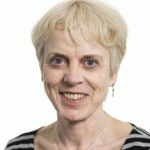 She is a Wellcome Trust Senior Investigator and held a Royal Society Leverhulme Trust Senior Research Fellowship (2016-17). 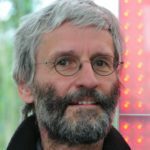 In 1994 Raimund graduated in Biochemistry from the University of Vienna before undertaking his PhD in Biophysics at the University of Basel. From 1994 to 1998 Raimund had a postgraduate studentship with Prof. Tilman Schirmer at the University of Basel. In 1999 he became a Postdoctoral Associate with Prof. Roderick MacKinnon, The Rockefeller University, New York, a position that he held until 2003 when he became Assistant Professor (tenure-track) in the Department of Biochemistry, University of Zurich. In 2009 Raimund was appointed Professor of Biochemistry, Department of Biochemistry, at the University of Zurich. Nikita Gamper got his PhD in Physiology at Sechenov Institute of Evolutionary Physiology and Biochemistry (St Petersburg, Russia). After postdoctoral work at Tuebingen University (Germany) and at the University of Texas Health Science Center at San Antonio (USA). He joined Faculty of Biological Sciences at the University of Leeds where he is currently appointed as Professor of Neuroscience. He also holds a position of Adjunct Professor of Pharmacology at the Hebei Medical University, Shijiazhuang, China. His group studies molecular and cellular mechanisms of nociception. Specifically, the group investigates the regulation of ion channels that control or influence excitability of peripheral ‘pain’ neurons; the group is also interested in the modulation of different neuronal ion channels by G protein-coupled receptors (GPSRs) and in GPCR signalling networks of sensory neurones. 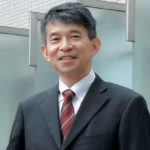 Dr Hirai is the Professor and Chair in the Department of Neurophysiology & Neural Repair, Graduate School of Medicine, and Director of Biosignal Genome Resource Center in Gunma University. He serves as Deputy Director of General Affairs in the Japan Neuroscience Society. His research is focused on synaptic plasticity in the cerebellum and pathophysiology underlying neurodegenerative diseases, principally the autosomal dominant form of spinocerebellar ataxia type 1 and type 3 (SCA1 and SCA3). Hirai and his colleagues identified that GluA2 subunit of the AMPA-type glutamate receptor in cerebellar Purkinje cell is phosphorylated by PKC at the position of Ser 880, which leads endocytosis of AMPA receptors, resulting in expression of LTD at parallel fibre to Purkinje cell synapses. More recently, Hirai and his colleagues found that impairment of mGluR1 signalling is a main cause of cerebellar ataxia found in SCA1 and SCA3, and pharmacological rescue of mGluR1 signalling significantly alleviates the ataxia in the SCA1/SCA3 model mice. 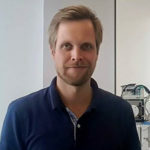 The focus of associate prof. Bo Hjorth Bentzen’s research group is to understand the mechanism of cardiac arrhythmia and to find new opportunities for treatment of these. To this end, we work with a broad range of model system ranging from electrophysiological recordings on single cells and zebrafish, to isolated perfused hearts and recordings on conscious large animals. This work has included investigating the mechanism of inherited cardiac arrhythmia and discovering and validating new ion channel drug target for the treatment of cardiac disorders such Long-QT syndrome, ischemia-reperfusion injuries and atrial fibrillation. 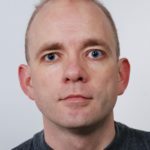 Anders A Jensen obtained his PhD degree from the University of Copenhagen in 2001, and he has been Associate Professor and heading his own research group at this university since 2007. The primary research focus of the Jensen group is molecular pharmacology aspects of Cys-loop receptors, a family of pentameric ligand-gated ion channels mediating the fast signalling of the neurotransmitters acetylcholine, serotonin, -aminobutyric acid (GABA) and glycine. A major interest of the group is to identify and develop novel ligands targeting these receptors and to delineate their mechanisms of action at the receptors. Thomas Jentsch studied human medicine from 1972 to 1978 at the Free University of Berlin (FU Berlin) and from 1974 to 1980 physics at the FU Berlin. In 1979, he received his medical degree and earned his diploma in physics. Thomas Jentsch graduated in 1982 with a PhD rer. nat. in physics at the Fritz Haber Institute of the Max Planck Society and the FU Berlin and 1984 Dr. med. med. at the FU Berlin. Afterwards, he was a research assistant at the Institute of Clinical Physiology at the Charité Berlin on the Campus Benjamin Franklin. Between 1986 and 1988, he was a postdoc in the department of Harvey F. Lodish at the Whitehead Institute for Biomedical Research at the Massachusetts Institute of Technology. From 1988 to 1993 Jentsch was Research Group Leader at the Centre for Molecular Neurobiology Hamburg (ZMNH), University Medical Centre Hamburg-Eppendorf. From 1993 to 2006 he was Professor and Director of the Institute of Molecular Neuropathobiology at the ZMNH, from 1995 to 1998 and again from 2001 to 2003 also Director of the ZMNH. Since 2006, Jentsch is full professor at the Charité Berlin. He is head of the research group Physiology and Pathology of Ion Transport at the Leibniz Institute of Molecular Pharmacology and the Max Delbrück Centre for Molecular Medicine. Since 2008 Jentsch is the first researcher of NeuroCure. In 2015, The Journal of Physiology honoured him and his associates with a special issue for the discovery of chloride channels and chloride transporters 25 years ago. On May 2, 2017, the medical faculty of the University of Hamburg awarded him an honorary doctorate. Gary is Manx and was born and grew up in Douglas on the Isle of Man. He received his first degree in Physiology and Pharmacology from Sheffield University in 1986, then worked on his doctoral thesis in Stephen B. McMahons lab at St. Thomas’s Hospital Medical school in the Sherrington school of Physiology in London. He received his PhD in February 1990. From London, he then moved to do post-doctoral work in the lab of Professor Lorne Mendell in the Department of Neurobiology and Behavior at the State University of New York at Stony Brook. He worked in Lorne’s lab for almost four years and in the last year, he was appointed Research Assistant Professor. It was in Lorne Mendell’s laboratory that Gary discovered that NGF is a critical mediator or hyperalgesia and pain. These findings formed the mechanistic basis of anti-NGF medication, like Tanezumab, that holds great promise for the treatment of inflammatory pain. In 1993 he received a von Humboldt Fellowship to work in the department of Neurobiochemistry at the Max-Planck Institute for Psychiatry in Munich under the directorship of Professor Yves-Alain Barde. In February 1996, he took up an appointment as an independent Group Leader at the MDC in Berlin. The projects in his lab now focus more on the molecular basis of sensory neuron mechanotransduction and sensory ion channels. In 2003 Gary obtained a joint appointment at the Charité University Medical Faculty as a full Professor. Diane Lipscombe is Director of the Brown Institute for Brain Science and Professor of Neuroscience. Diane Lipscombe has studied voltage-gated calcium ion channels — their function, pharmacology and modulation for over 30 years. The lab has shown how cell-specific control of ion channel composition through RNA splicing impacts animal behaviour and drug sensitivity. Lipscombe has also demonstrated the impact on channel function of rare mutations in calcium ion channel genes associated with disease in humans and, is involved in a collaborative effort to identify gene suppressors of animal models of familial Amyotrophic Lateral Sclerosis. Yasuo Mori earned PhD in molecular genetics at Kyoto University Graduate School of Medicine. His research field has been mainly in molecular physiology of calcium channels including voltage-dependent calcium channels (neuronal CaV2 channels that trigger neurotransmitter release) and calcium-permeable TRP cation channels (TRPM, TRPC, and TRPA subfamilies mediating different pathways of calcium-dependent signal transduction) for nearly 30 years. Recently, he is very much interested in studying calcium channels, particularly TRP channels, in the context of redox biology by resolving the complex relationship between calcium channels and redox species including nitric oxide, reactive oxygen species, and molecular oxygen. He considers direct modification of calcium channel proteins as the most important clue to understanding this issue. Matt Nolan is Professor of Neural Circuits and Computation at the University of Edinburgh. 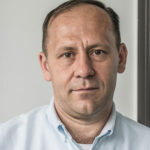 His research group aims to understand how computations important for cognition are implemented by neural circuits in the brain. His current focus is on how memory and sensory stimuli are combined by neural circuits that tell us where we are. Before moving to Edinburgh, Matt was a postdoc at Columbia University working with Eric Kandel and prior to this, he did his PhD and a short postdoc at the University of Aberdeen with Steve Logan And Dave Spanswick. 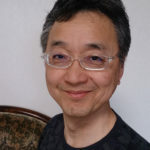 Jun-ichi Okada is the director of the UT-Heart Inc. and a project lecturer of the University of Tokyo. 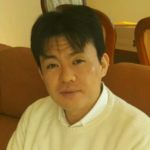 He obtained his BSc and MSc degree in engineering from the Nagoya Institute of Technology and his PhD in science from the University of Tokyo in 2004. He has been working on the development of a three-dimensional, multi-scale, multi-physics heart simulator (UT-Heart). In particular, his research focuses on its application to clinical medicine and pharmacology. In 2015, he reported a novel proarrhythmic risk assessment system combining in vitro channel assays using the automated patch clamp technique and in silico simulation of cardiac electrophysiology using a UT-Heart. Recently, he extended this approach and developed a comprehensive hazard map of drug-induced arrhythmia based on the exhaustive in silico ECG database of drug effects in the hope that anyone can assess the arrhythmogenic risk of compounds without the use of expensive computers. Dr Saverio Gentile received a PhD in neuroscience and cell biology from the Zoological Station “A. Dohrn” in Naples, Italy and Universita’ degli Studi Della Calabria Italy. As a postdoctoral fellow at the National Institute of Environmental Health Sciences (NIEHS/NIH) and later in the Cardiology Department at Duke University Dr Gentile studied the non-genomic hormonal regulation of ion channels. As an independent investigator at Loyola University, Dr Gentile scientific interests focus on the role of ion channels in cancer biology and on establishing a therapeutic approach by pharmacologically targeting ion channels that are expressed in cancer cells. Recent discoveries in Dr Gentile’s lab have brought to light important roles of K+ channels in controlling several hallmarks of cancer including growth/antigrowth signalling, cell death evasion, metabolism, tissue invasion, and metastasis. Uwe Rudolph graduated from the Medical School of the Freie Universitaet Berlin, where he also obtained a research-based doctorate for biochemical studies on G proteins. After a postdoctoral fellowship at Baylor College of Medicine in Houston, TX, he moved to the University of Zurich, where he and his colleagues generated and analyzed knock-in and knock-out mice to identify physiological and pharmacological functions of GABAA receptor subtypes. 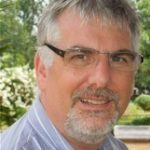 Since 2005 he is working at McLean Hospital in Belmont, MA and Harvard Medical School, where he is currently a Professor of Psychiatry. 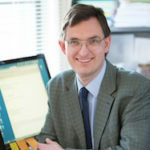 At McLean Hospital, his laboratory focuses on identifying the function of GABAA receptor subtypes in defined cell types and circuit locations, and – using chromosome engineering techniques – on copy number variations as genetic risk factors for psychiatric disorders. David N. Sheppard is Professor of Physiology at the University of Bristol. He uses single-channel recording to investigate how cystic fibrosis (CF) mutations disrupt cystic fibrosis transmembrane conductance regulator (CFTR) function and the action of small molecules that rescue or bypass mutant CFTR. He uses single-channel recording to investigate how cystic fibrosis (CF) mutations disrupt cystic fibrosis transmembrane conductance regulator (CFTR) function and the action of small molecules that rescue or bypass mutant CFTR. Lucia Sivilotti graduated in Pharmaceutical Chemistry from the University of Ferrara. Her PhD work at St Bartholomew’s Medical School, London, provided the first description of GABAC receptors. After postdoctoral work on pain sensitization in the spinal cord, she specialised in single-channel recording on pentameric ligand-gated ion channels. Her work on glycine and nicotinic channels showed that agonist efficacy is determined early in channel activation, by access to a pre-open intermediate state. Lucia works at UCL, where she is the AJ Clark Professor of Pharmacology. 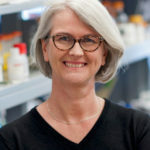 Bonnie Ann Wallace is Professor of Molecular Biophysics in the Institute of Structural and Molecular Biology at Birkbeck College, University of London. 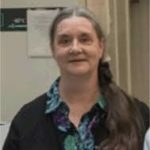 She obtained her PhD in Molecular Biophysics and Biochemistry from Yale University and did postdoctoral work (as a Jane Coffin Childs fellow) at Harvard and at the MRC Lab of Molecular Biology in Cambridge. She was an Associate Professor of Biochemistry at Columbia University, before moving to Rensselaer Polytechnic Institute as Professor of Chemistry and Director of the Center for Biophysics. She moved her lab permanently to London following a sabbatical visit (as a Fogarty Fellow) to Birkbeck. She was the first recipient of the Dayhoff Award of the U.S. Biophysical Society (for the best young female biophysicist in America) and received the Irma T. Hirschl Award, and the Camille and Henry Dreyfus Teacher-Scholar Award, and was previously named one of the dozen top young scientists in America by Fortune Magazine. She received the 2010 AstraZeneca Award from the Biochemical Society and the 2009 Interdisciplinary Prize from the Royal Society of Chemistry and was recently elected an Honorary Member of the British Biophysical Society and a Fellow of The (U.S.) Biophysical Society. 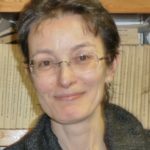 Her principal research interests are in the structure and function of voltage-gated sodium channels, and the development of new methods and bioinformatics tools for characterising proteins. 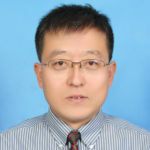 Dr Jian Yang is currently Professor in the Department of Biological Sciences at Columbia University and Principal Investigator and Director of the Ion Channel Research and Drug Development Center (ICDC) at the Kunming Institute of Zoology of the Chinese Academy of Sciences. He obtained his B.S. degree at Peking University in 1982, M.S. degree at the Shanghai Brain Research Institute in 1985, and PhD degree at the University of Washington in Seattle in 1991, and performed postdoctoral research at Stanford University and the University of California, San Francisco. He became Assistant Professor in the Department of Biological Sciences at Columbia University in 1997, Associate Professor in 2002 and Professor in 2009. 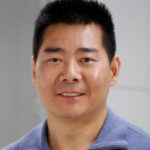 Dr Yang’s research focuses on ion channel structure, function, disease mechanisms and drug discovery, and cellular calcium signalling and homeostasis, and uses a combination of approaches including molecular biology, biochemistry, cell biology, patch-clamp, X-ray crystallography, cryo-EM and confocal microscopy. 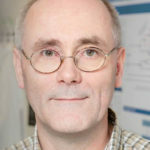 His research areas include (1) Studying the structure, function and regulation of calcium-conducting channels, including voltage-gated calcium channels (VGCCs), transient receptor potential (TRP) channels, and cyclic nucleotide-gated (CNG) channels; (2) Searching for active natural compounds and developing new drugs targeting these (and other) channels and elucidating their action mechanisms. (3) Investigating at the molecular, cellular and animal levels the pathogenic mechanisms of human diseases (including autism spectrum disorder and autosomal dominant polycystic kidney disease) caused by or associated with mutations and/or dysfunction of VGCCs and TRP channels. By training, Dr Yuan is an MD/PhD neuroscientist interested in roles of ion channels in neurological disorders. 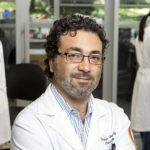 He is currently an Assistant Professor in the Department of Pharmacology and Deputy Director in the Center for Functional Evaluation of Rare Variants (CFERV) at Emory University School of Medicine. His current research is focused on human glutamate receptor mutations associated with neurological disorders. Dr Yuan utilizes a multidisciplinary approach to translate basic research involving human glutamate receptor mutations toward a therapeutically-relevant understanding of the NMDA receptors function in pediatric neurological disorders. Dr Yuan’s research program also explores new approaches to clinical treatment of a subset of neurodevelopmental disorders.